If you want a long-distance minimalist running shoe for cooler weather, you’ll want to read my Saucony Hattori review, because this shoe will keep your toes warm, but wont interfere with your forefoot running form. After searching high and low for the perfect zero-drop minimalist shoe for the winter, I really like the feel and the warmth of the Saucony Hattori LC and would strongly recommend it for forefoot running in the winter. What I love most about the Hattori LC is that the toe-box is very wide, and the shoe can worn very comfortably without socks. But for added warmth in the winter, I like to wear socks in the them. The Hattori’s are the lightest Saucony running shoe that has a racing-flat design with a wide toe-box that improves your forefoot’s ability to expand for impact absorption and balance during forefoot running. Those sorts of elements are key in running injury-free. 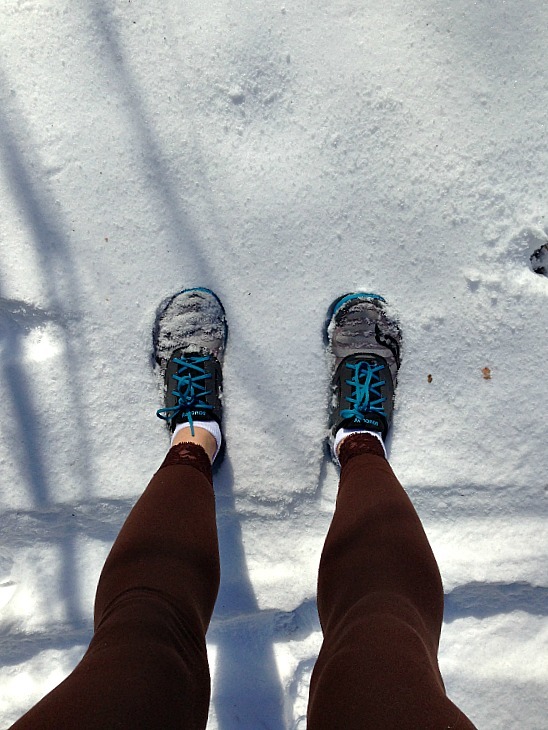 You don’t have to get crazy-advanced with a running shoe to get the most protection. Less is more and the Hattori LC is a great match for a forefoot running shoe. Great for all distances, especially the marathon, the Hattori LCs are cushy, but not too cushy. However, they are more cushy than the Mizuno Wave Universe and the Vibram Five Fingers because the shoe has a thin compression molded EVA foam –I wouldn’t recommend any more cushioning than the Hattori LC’s — any more cushioning, then you would lose ground feel and ankle stability; too much compressible material does not provide added protection, it actually causes us to run with harder landing impact. Because of the amount of cushioning, I would recommend the Hattori LC for experienced forefoot runners who are well-conditioned at maintaining their forefoot strike running form. The upper is of a soft suede, adding to that sock-like feel, but it also breaths well, so you’ll have no issue with these in hot weather. Before running in the Hattori LC’s, I struggled with ‘jumpers knee’, but my knee pain subsided soon after running in the Hattori’s LCs because the barefoot-feel of the shoe improved my form. Another plus of the Hattori LCs was the wide toe-box. 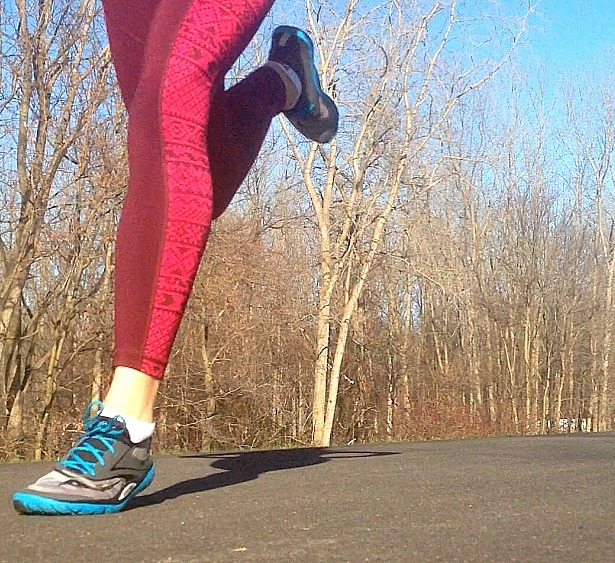 These shoes are ideal for runners with wide feet. I prefer the Hattori’s over the Vibram Five FIngers because of the wider toe-box and the non-closed toe design. If you are a fan of the Vibram Five Fingers, you will enjoy running the Hattori LCs as you are able to feel the ground perfectly without going barefoot. Why are the Hattori LCs great for forefoot running? 1. 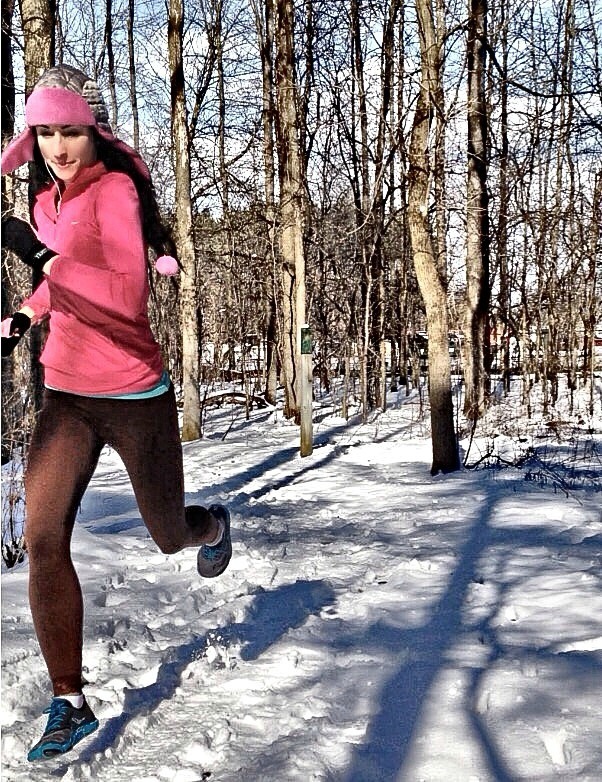 Zero-drop, no heel padding or elevation; flat like a racing-flat. 2. Super flexible and lightweight, no stiff insole materials; moves naturally with your foot; not restriction in movements. 3. Wider box-box than many minimalist running shoes. 4. Thin sole that mimics the feeling of the ground which is what you want to help stop you from heel striking. There are dozens of other minimalist shoes I love for forefoot running. 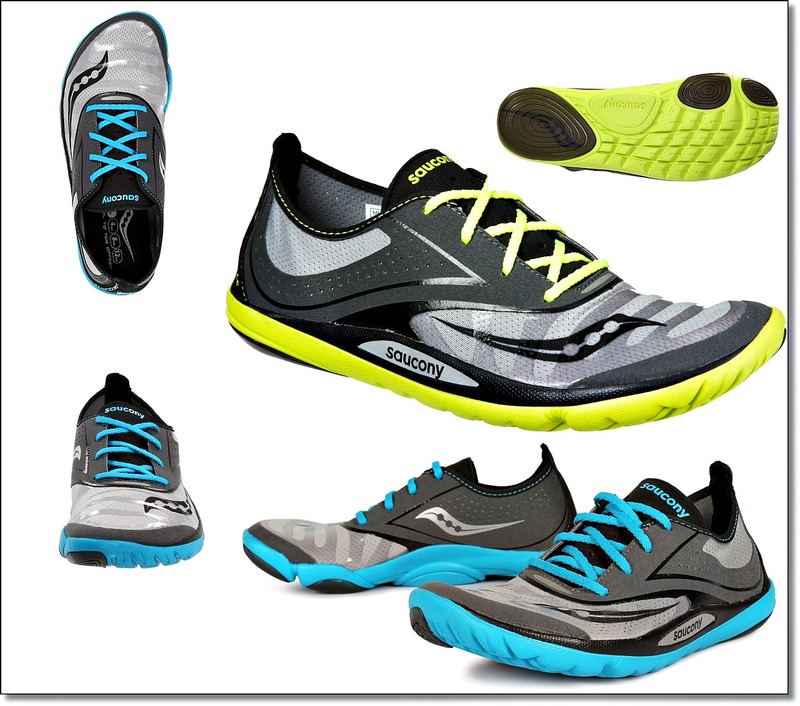 So, don’t forget to check out my other recommendations and reviews on minimalist shoes for forefoot running. Like Vincent, I don’t understand the point to publish a review of a no more producted model from a brand which does not have any 0mm drop shoe in catalog. But several years ago, Sattori (model without laces, but with velcros) were my first step into minimalist shoes. They were very comfortable but not very well conceived: sole reinforcements are not set in good places for forefoot running, and regular sole is too soft. That adds some padding, but it was a little weird to run with them on road. They were very good 0mm drop walking shoes.